"The staff is great and very understanding. Very quiet and secure building." "The sense of safety and the care of the employees is something that anyone and everyone should experience. The Legacy West apartment complex is a great place to live." "My husband and I love it. We've never had a problem with hearing neighbors above us or next door, and the staff is always nice and helpful. Also, maintenance fixes a problem very quickly." We pride ourselves in our clean units, quiet surroundings, great location, and helpful staff, and we know that you'll appreciate these features. 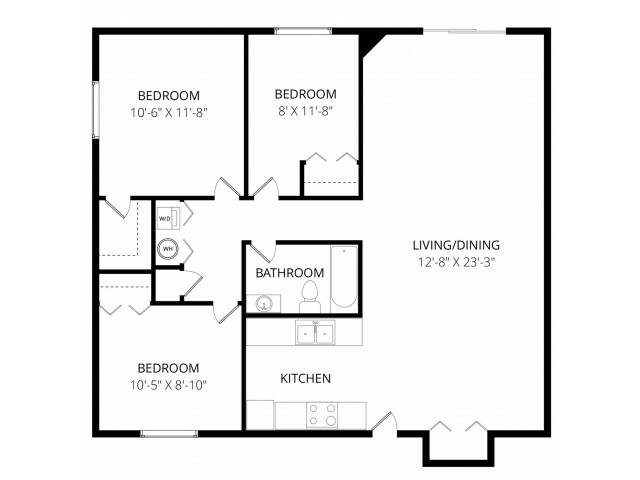 The Legacy West offers affordable two and three-bedroom floor plans that come with great apartment amenities. Our rentals have private balconies, spacious walk-in closets, cozy fireplaces, and washers and dryers. You'll definitely enjoy our community amenities as well. Our mature landscaping creates a serene setting and the reserved parking ensures that you'll always find a space close to your unit. There is also the peace-of-mind knowing that the property is equipped with secured access and 24-hour emergency maintenance services that are available for when the unexpected happens. The Legacy West property is conveniently located to both work and play. We're right next to Glenn Highway, so it's easy to get to anywhere you need to travel to. 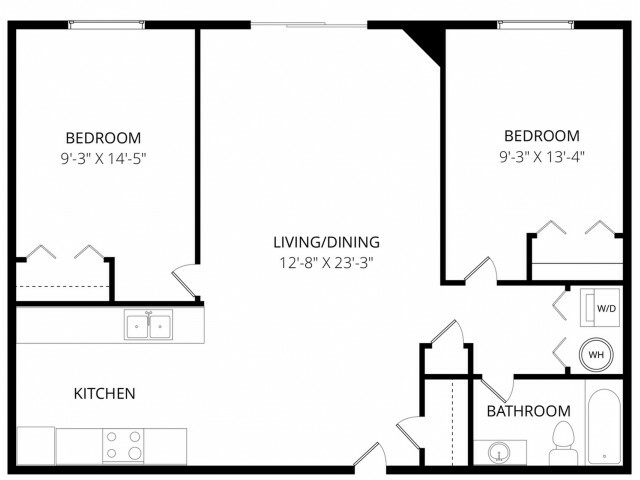 These apartments also make for easy access to Target to shop for your everyday necessities. For more fun, take some time and cruise to Tikahtnu Commons, where you can watch a hot new movie, catch a bite to eat, or get pampered at Nails Couture and Massage Envy. Lovers of the outdoors should check out Davis Park or try the trails at the nearby Russian Jack Park. The Legacy West is a pet-friendly apartment complex, so having Turpin Park in the neighborhood is incredibly useful to take your dog for a walk. It can feel overwhelming trying to find the right housing in Anchorage, AK, and the staff at Weidner Apartment Homes is here to help. We'd love to tell you more details about our property and community. Contact us today! Pets welcome (breed restrictions apply) 2 pet limit & no weight restrictions. There is a $300 non-refundable pet fee. $25 monthly rent for cats, and $30 monthly rent for dogs.